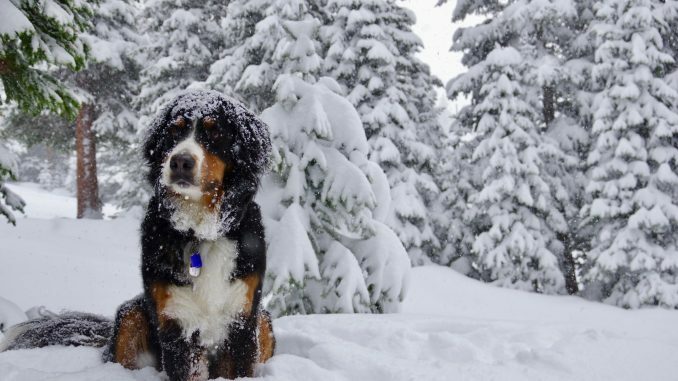 Many people are going to say that now is too early for making of any ski holidays bookings. Summer is over, but still there is no snow outside and here comes the question: should we book our winter vacation now or to wait a little longer? If we book our ski holiday in September, could we get good travel deals? In fact, now is the best time for you to book your holiday in the mountain… If you make a reservation several months before the beginning of the ski season, will be able to take advantage of the many early booking offers available. For families with kids, that is more than good from the point of view of the family budget… Do not wait too long to book your holiday and get a good discount for your early booking! To ski is wonderful and many people would like to try this exciting sport if they have not tried it so far. But there are European countries that are too expensive and unfortunately not everyone can go there for ski. If you want to even safe some money during your winter vacation, as well as to fully enjoy your stay without counting your money all the time, go to Bulgaria and have the perfect ski holiday ever! 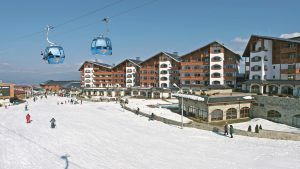 If we have to tell you which is the best ski resort in Bulgaria, we can’t… The truth is that there are more than one amazing places where every holidaymaker can practice its favorite winter sports and as a beginning we are going to start with Bansko – the first of the three largest winter/mountain resorts in Bulgaria! Being there, you will see something eally different! Located in the stunning Pirin Mountain, this lovely ski resort is ranked as one of the most visited places in the country during the winter season. The reason why so many people choose Bansko Bulgaria for their ski holidays is very simple: this place offers everything you may need when on a holiday! – What does this mean? Well, let’s start with the ski slopes as a beginning… They are varied (depending to your level), they are well-maintained and suitable even for kids. If you plan to ski for the first time and are not quite sure if you can handle it, do not worry – in Bansko there is an excellent ski school where you can learn to ski! There you will find a good value for money, professional trainers and lots of smiles :)! In Bansko you will find not only ski runs, a school and snow… There you will find amazing hotels, very good restaurants and exciting night life. You will be able to experience a fulfilling vacation, at low price and enjoying the nature around you. The last one is for free ;)! If we have to be honest, will tell you that not only Bansko is a good decision for your winter vacation… For example, you can visit Borovets that is another wonderful ski destination in Bulgaria. Being there for a week or more (why not), you will experience not less unforgettable and pleasant holiday than in Bansko. Ski holidays borovets are amazing as the place welcomes thousands of tourists every winter, while its location is more that amazing! Situated in the Rila Mountain, the first ski resort in Bulgaria is a preferred destination for so many people, that we hardly can give a definition which ski resort in Bulgaria is the best one! But we know one thing: Borovets has one advantage that the other ones do not have… Near the capital of Bulgaria (Sofia), this place will give you the chance to combine your mountain vacation with the city life that in Sofia is very, very dynamic and interesting! Just like Bansko, Borovets has very good ski base. With its 58 km of ski slopes and several lifts, the resort is a desired winter destination by the people who just want to try to ski, as well as by the professional skiers who definitely are looking for stronger sensations! But no matter which category you fall into, the ski resort of Borovets will make your winter vacation unforgettable and much more different than the other ones you have had till now. We love the small and cozy villages. During the winter, when there is a snow and most of us would like only to lie lazy in front of the fireplace, the same villages are the perfect option for you to overcome the accumulated stress, as well as to “refresh” your mind! If you do not agree, please offer us a better solution for all the tired (or in love) people, who more than everything want to forget about their job and daily problems. We think that a holiday among the nature, or peaceful environment would be right on the spot! Meanwhile, you can get good travel dears for Ski Holidays Bulgaria here! You can find a long list of fairy places and ancient villages in Bulgaria. This land is famous not only with its magnificent Black Sea coast and picturesque mountains, but with its ancient cities and rural tourism too. 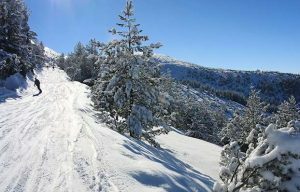 And given that not everybody love to ski or to spend its nights in some disco bar, a winter holiday in a small and beautiful Bulgarian village will be just perfect! Try the Bulgarian cuisine and the seasonal dishes. During the winter you can taste many interesting meals, as the combination of the different ingredients will surprise you… Yes, Bulgaria has excellent national cuisine! Before to hit the road to some of the ski resorts of Bulgaria, or to book a room in an old guest house have to know that the price you are going to pay will be lower than you ever have imagined! You can dine in very good and even luxury restaurants, as well as to stay in 4-star hotels for less. This will give you the chance to extend your stay (if you like) and to give your family even more pleasant moments away from home. No other country in Europe can offer you this quality at this price. Trust us and visit Bulgaria this winter! !